As temperatures begin to fall this evening, the chance of a fire in your home increases. Heating equipment is one of the leading causes of house fires in the cold months, second only to cooking fires all year long. Most fires involving heaters are attributed to portable and space heaters. 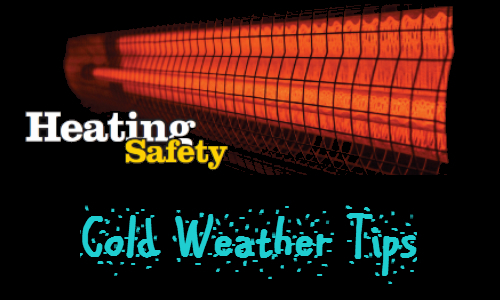 If you see or smell smoke upon turning on your heater, call 9-1-1 immediately. Keep or maintain a three-foot clearance between all heating equipment and anything that can burn. Portable space heaters should be turned off every time you leave the room and before going to bed and do not plug electric heaters into extension cords. If you have wall heaters, check to make sure that items have not been placed in front of or near the heaters that could ignite when the cooler temperatures arrive and the thermostat turns on the heater. Allow fireplace and wood/pellet/coal stove ashes to cool before disposing in a metal container at least ten feet from your home or anything that may burn. Have heating equipment and chimneys inspected and cleaned every year. Install smoke alarms in every bedroom, outside each sleeping area and on every level of the home. For the best protection, interconnect all smoke alarms throughout the home. When one sounds, they all sound. Test smoke alarms monthly. Install and maintain carbon monoxide alarms to avoid the risk of carbon monoxide poisoning.